Hearing more noise from more flights? The Department of Transport have allowed flight paths to become more concentrated, in effect consolidating numerous flight paths. This ‘divide and rule’ approach means that some people will be getting all the noise from aircraft coming in and out of Heathrow, whereas previously outgoing flights were much more dispersed. As a result, the noise conditions people have experienced have deteriorated sharply. With potentially 265,000 more flights if Heathrow is allowed to expand and proposals to concentrate flight paths even further using satellite technology, the impact of continuing with this policy is potentially very serious. A fundamental issue with the consultation recently launched by the DfT relating to Heathrow expansion is that the public is not being told where these new flight paths will be. So… even if you have escaped most noise and night flights or you have been able to tolerate what you currently experience, the new, concentrated flight paths could drastically change the situation. In essence, the public is being consulted on an issue of huge consequence to their lives without being given the necessary information to provide a considered response. Additionally, Heathrow planes are being allowed to fly at lower altitudes, which increases the impact of the noise and pollution. Why the changes? Because maintenance and fuel costs are lower if planes fly longer at lower heights and many believe that a reduction in these costs to the airlines offsets the higher fees that Heathrow charges for landing and take-off. This ignores completely the human cost to those unfortunate enough to be overflown. 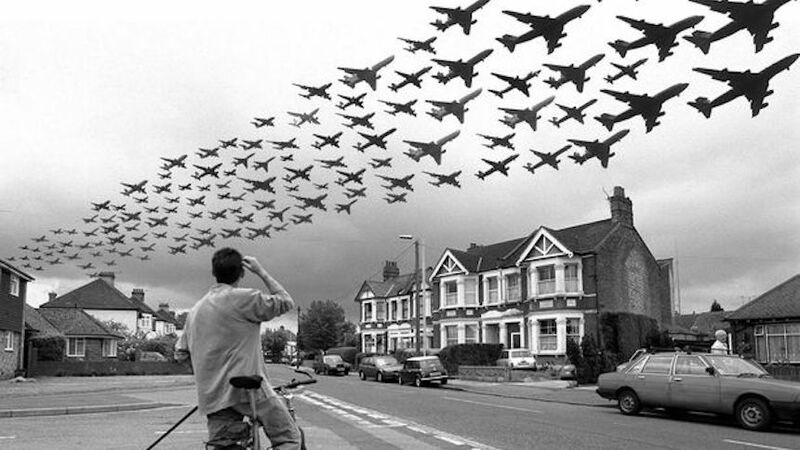 Concentrated flight paths are very bad for people’s physical and mental health. Some people will have rented or brought their homes in peaceful locations but are now finding there is a much narrowed flight path over their heads (which as the people of Teddington know from experience of trials in 2014 could get much worse if the present policy of concentration is continued). Unwanted noise increases stress levels in the body that can cause sleep disturbance and even cause issues like heart disease. Known mental health issues through unwanted loud continued noise are more common due to these concentrated flight paths. TAG urges you to sign a recently launched petition to require MPs to discuss concentrated flight paths in Parliament. If you remain quiet, you cannot complain later. Sign the petition online here. To participate in night flights consultations, click here. CONSULTATION: HEATHROW EXPANSION click here. TWICKENHAM PUBLIC CONSULTATION: Thursday 23 February 2017 from 11.00am to 8.00pm at York House, Richmond Road Twickenham TW1 3AA. More details here. AIRSPACE POLICY: The Department of Transport has also launched a consultation on airspace policy. Details can be found here. Heathrow is already the wrong location for an airport. The area is densely populated, air quality fails to meet EU regs by a large margin. Cost of a 3rd Runway with all the associated road alterations is totally exorbitant and unbelievable. Why are these people not looking at Gatwick (our main airport for Charter flights).. ONE Runway for incoming and outgoing aircraft; and the cost of an additional airport is far less prohibitive. Another alternative is a Thames Estuary airport. As The City of London is rapidly expanding eastward, is this not a suitable choice. Many airports around the world are on the coast which means the sea absorbs much of the noise pollution.